One minute the moon was there, doing what a moon does – waxing. The next minute, in its place was a dust cloud, that, when the dust settled, resolved itself into seven giant rocks chaotically orbiting the area of space formerly known as the moon. It’s a sight that no human in history has ever beheld and one no one wants to. The moon’s explosion sets a clock ticking; scientists predict just two years before a “hard rain,” an apocalyptic meteor shower that will end all life and leave the Earth uninhabitable for thousands of years. Little time is wasted on hysteria as the human race pulls together for the Herculean task before them: select young representatives from the nations of the world to be sent into space to inhabit a “cloud ark,” a network of space vessels built around the International Space Station (ISS), where, with luck, they will ride out the next five thousand years. Neal Stephenson musters a team of brilliant protagonists who will pull off this seemingly impossible task and save humanity. Two female characters lead the charge aboard the ISS: Ivy Xiao, a tiger-mom-raised astronaut with “the motor control of a chopper pilot and the mathematical mind of a physicist,” is the commander of the station. Her counterpart, Dinah MacQuarrie, whose miner father “taught her mathematics, military history, [and] Morse code,” is a robotics genius employed by Arjuna Expeditions, a private asteroid mining company. On Earth, Dr. Dubois Jerome Xavier Harris, a leading astronomer who is also a popular TV personality with a knack for making astronomy palatable to the general public (Think Neil deGrasse Tyson, since this is who the character is most assuredly based upon. ), is a key technical resource in authoring humanity’s exit strategy. And Sean Probst, the unlikable genius behind Arjuna Expeditions (clearly modeled on SpaceX’s Elon Musk), while not officially invited to the party, has deep enough pockets and a large enough ego to write his own ticket into the action. There are others of course, each a technical ninja in their own highly-specialized niche, because it is largely in these highly-specialized technical niches that Seveneves resides. Neal Stephenson is well-known for his proclivity for technical digressions and unfortunately, Seveneves, requiring as it does a way for humanity to get from utterly doomed to surviving in space while the Earth cools off for a few thousand years, is comprised primarily of these tangents. 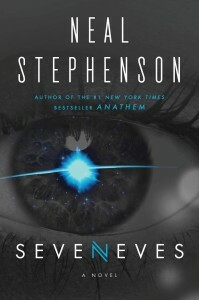 Long, detailed sections about Lagrange points, libration points, L1 gateways and the astrophysics of burying a large nuclear reactor into the core of a comet (Comet Grigg-Skjellerup, in case you were interested) and flying it from a geocentric to a heliocentric orbit consume much of Seveneves‘ narrative, leaving little room for, well, narrative. But then Seveneves was not written for me. It was written for the legions of Stephenson fans who will eagerly lap up the author’s technical dives into orbital physics or the other myriad challenges of putting humans in space for a few thousand years. For these readers, the digressions are as fascinating as they are for Stephenson himself; they are, in fact, what these readers came for, and more than worth the price of admission. Others, myself among them, will find Stephenson’s passion for how it all works a bit tedious and wanting for tension in what should be the most intense of situations. Or maybe even characters who are more than two-dimensional projections the author can use to explore another technical field of expertise. 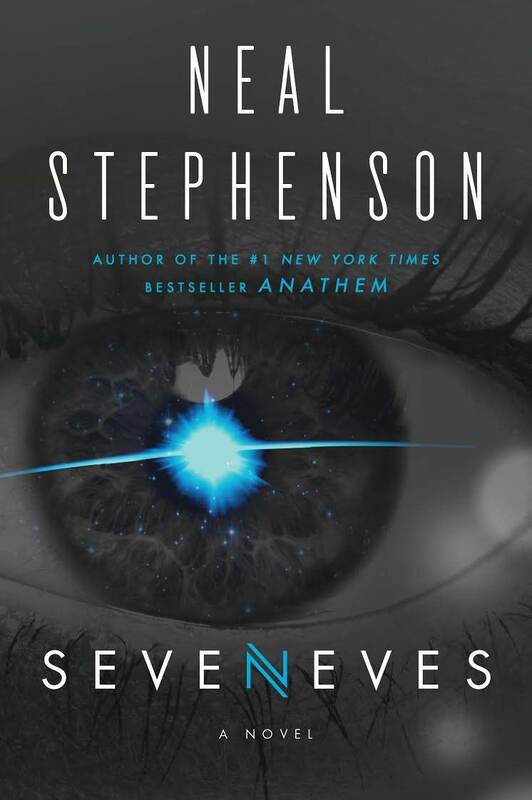 We will want storytelling, and while Seveneves is most certainly an impressive book, it’s not the storytelling that makes it so. Neal Stephenson’s breakthrough as an author came in 1992 with the publication of the best-selling cyberpunk novel, Snow Crash, a geek fiction touchstone which he followed with The Diamond Age, similarly cyberpunk with a nanotech bent. Since then, his novels have veered from science fiction deeply into historical fiction with Cryptonomicon and his three volume Baroque Cycle, and back again, veering through the technothriller Reamde, to science fiction novels such as Anathem and Seveneves. Anthropology, cosmology, cryptography, nanotechnology, and string theory are but a few of the heady topics Stephenson has explored in his novels. I am, as always, eager to see what he’ll tackle next.